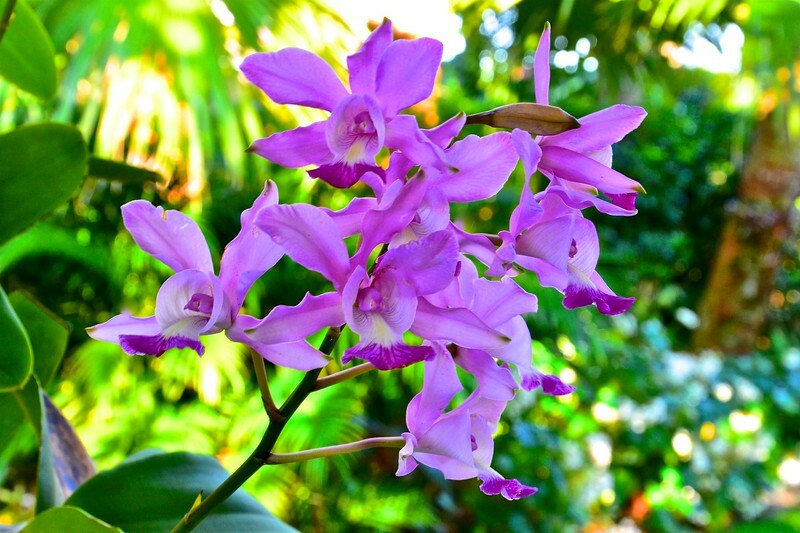 When people first think of Florida they envision Palm Trees, Beaches, Oranges and Alligators! 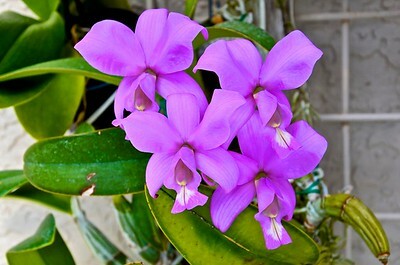 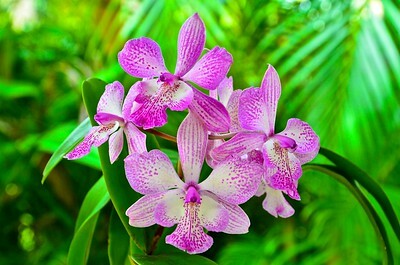 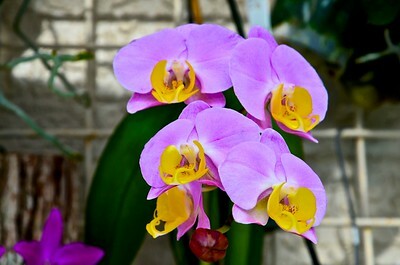 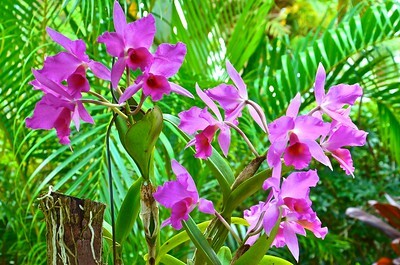 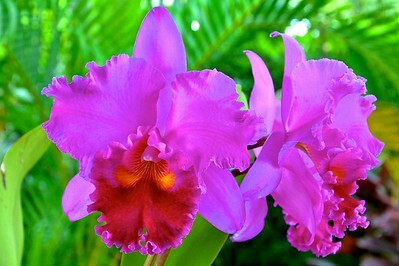 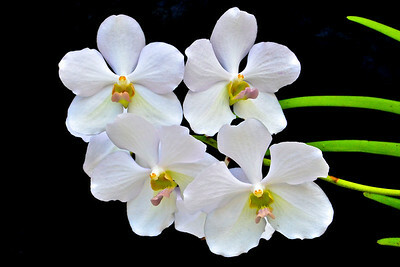 However, this tropical climate is the perfect place to grow orchids also. 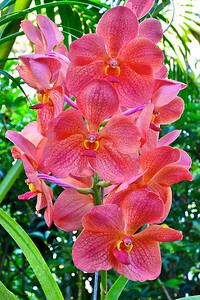 These orchid photos were taken from around South Florida, but mostly from my wife's collection in our own backyard. 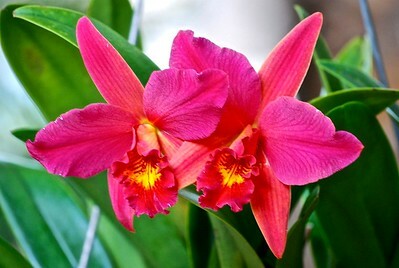 Caution: Growing orchids can be habit forming. 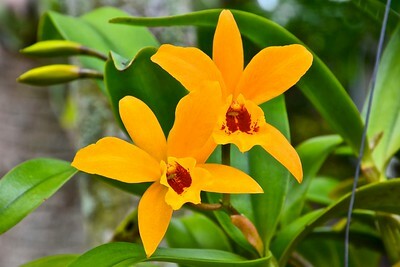 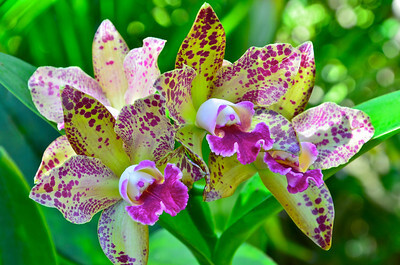 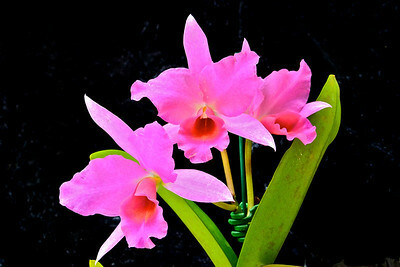 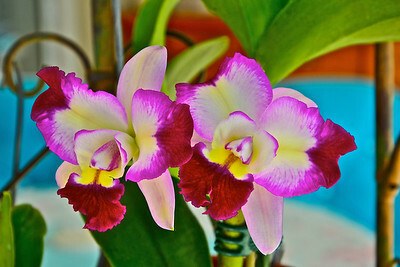 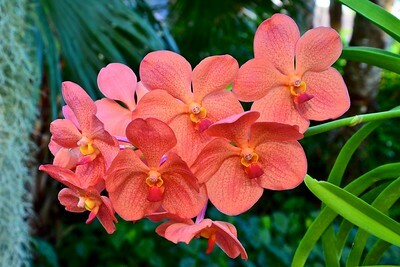 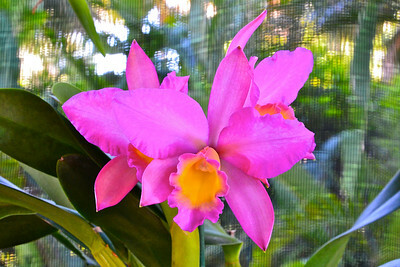 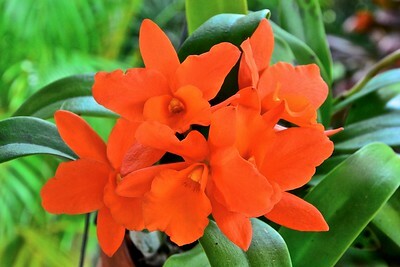 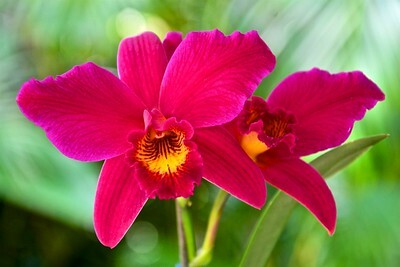 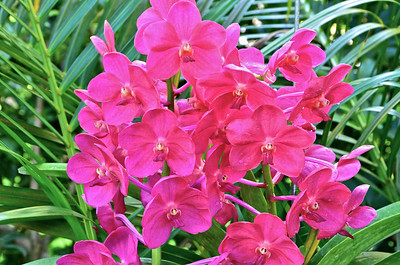 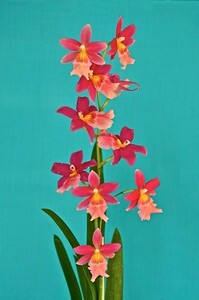 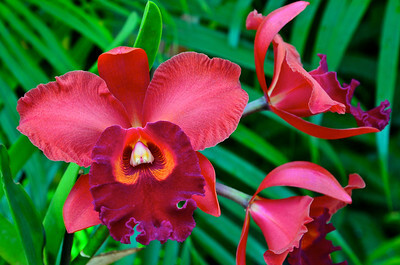 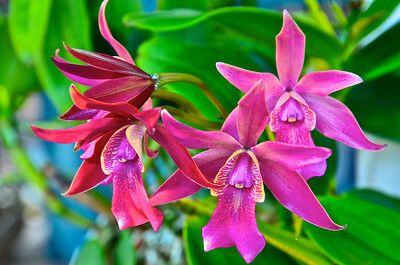 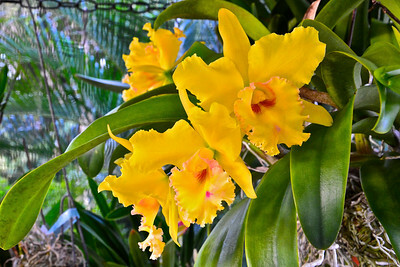 This orchid is from the Robbie Hopcraft collection from Key West in Dec. 2011. 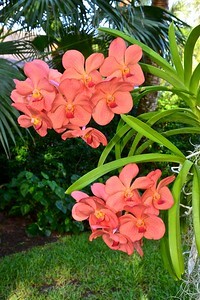 Vanda orchid with a 'Keiki' growing from the base of the original plant. 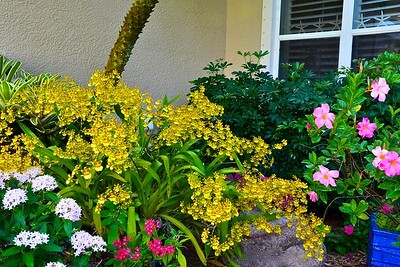 The Oncidium is still amazing in 2018!